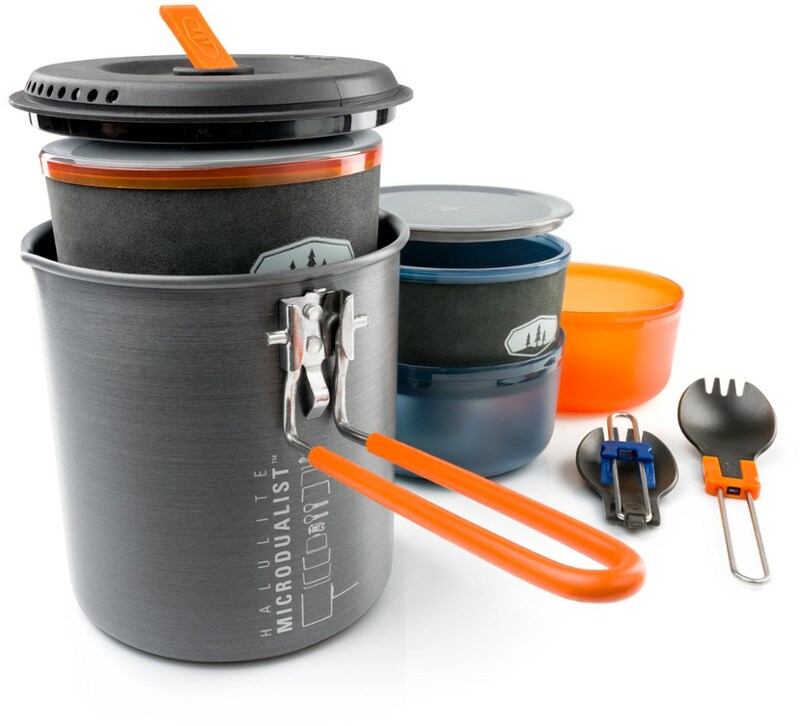 Humangear Camp & Hike Liberty Mountain Deluxe Mess Kit 327471. 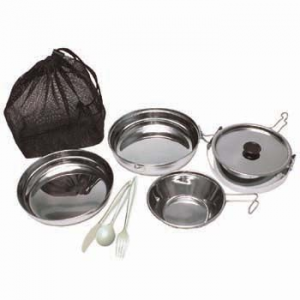 With a clamshell design and rust-proof easy to clean stainless steel make this kit a great option for years of hard use. 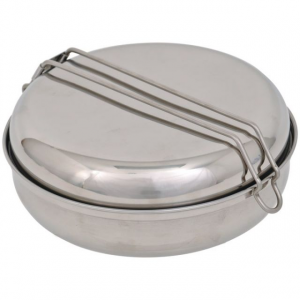 The extremely lightweight clamshell design is made from rust-proof, easy to clean stainless steel for years of hard use. 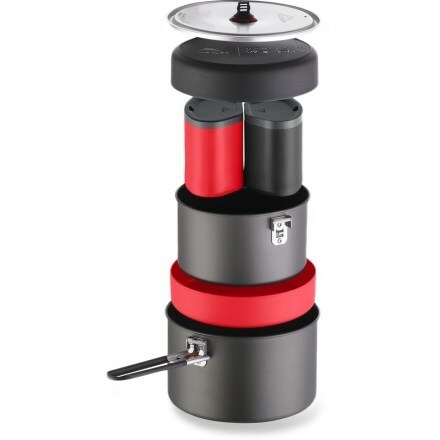 Engineered to be a complete set for one person. 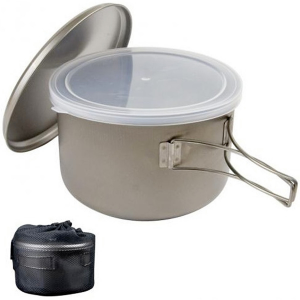 Contains: 1 pt. 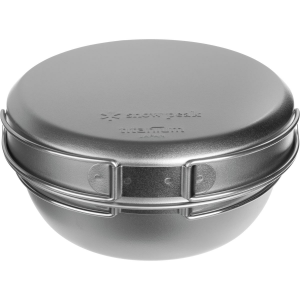 Pot w/Lid, 6" Fry Pan, 6" Dish, 3 Piece Lexan Cutlery Set, 10 oz. 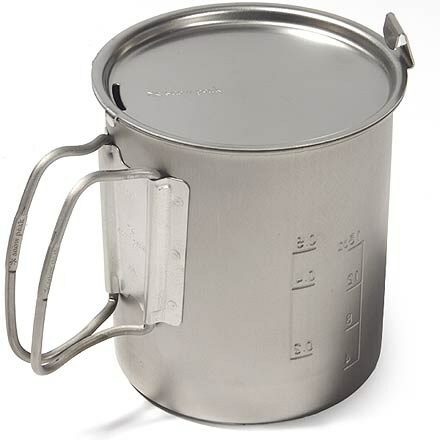 Stainless Sierra Cup.